Support your team and put your team colors on wide display with team support car flags from Tuff Flags . It makes a fabulous and effortless way to show moral support for your school team or home league. Great for sports teams and clubs, these vibrant and long lasting car flags made of strong Jet flag material. Shop right away and get the advantage of the best prices, quick shipping and much more! 100% customer satisfaction guaranteed! Drive up some interest in your sports team with these attractive car flags that are offered in a variety of styles and price points. Great for awareness campaigns, racing events and school spirit rallies, these car flags will turn every road trip into a great promotional opportunity! Choose from various models. 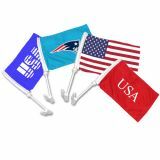 100% made in USA, these single face reverse flags printed with 600 dpi High Resolution digital printers will leave a long lasting impression among the audience. These vibrant and durable team support car flags are designed to have a long innings indeed! Browse our complete line of Team Support Car Flags to find a model that matches your needs. 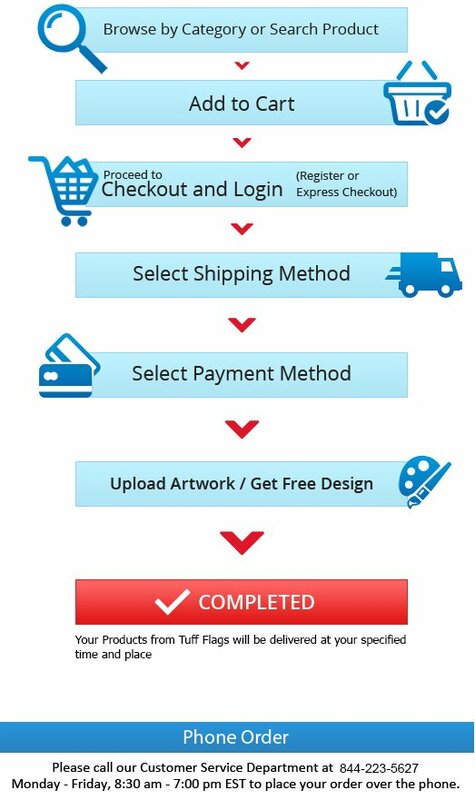 Should you need any help, please feel free to reach us at our toll free number 888-287-3524 or email at customercare@tuffflags.com and we will be happy to assist you. 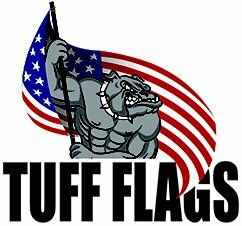 "Tuff Flags wins hands down as my favorite flag shop from my first order. Prompt, professional and practical, the team was simply amazing. It is rare to find such a responsive team. I strongly recommend Tuff Flags"
"I can't say enough nice things about the quality of flags that were bought from Tuff Flags. Quick service and friendly team. Thumbs up to the entire crew." 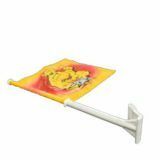 How is Tuff Flags able to be so much less expensive than other flag companies? How does your Guarantee work? We'll e-mail you the coupon. Cannot be combined with other discounts. We don’t spam or share your email address with third parties.